Last week I wrote about how Eric Schmidt, Google’s CEO, thinks it’s ridiculous that cars are driving themselves. He said that computers should be doing the things that we humans are bad at – like driving. Well, this has now quickly evolved from just a random statement during a speech, to reality. Google is now actually testing cars that can drive themselves. The testing ground was Highway 1 that weaves along the ocean between Los Angeles and San Francisco. The car was a Toyota Prius with a camera on the roof. And yes, if you saw the car on Highway 1 you would notice someone in it, but ironically, that person was not actually driving the car. 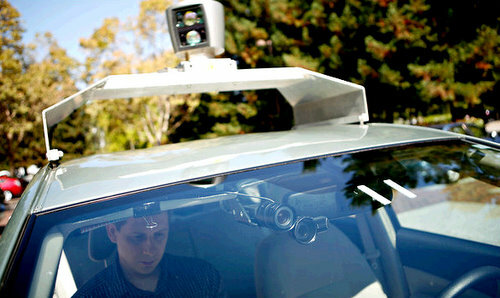 So what are we to think of Google’s latest gadget – a self driving car?